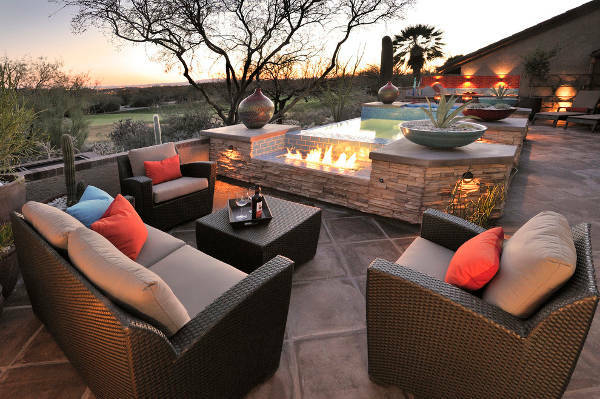 For your outdoor patio furniture you can choose from a huge variety in designs, styles and materials. You can go for patio furniture in metallic frame or you can go for wooden structures that look elegant and classic however they are more expensive while plastic designs are more affordable choices. As an affordable choice you can decide on pallet patio furniture. You can find them in low prices while you can style them with seat cushions and pillows of your choice. 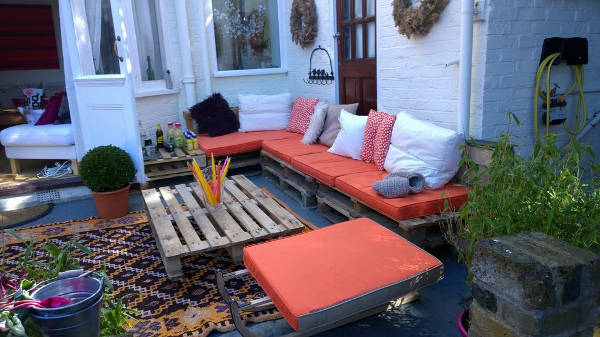 From armchairs to sofas and from side tables to benches you can create the most incredible syntheses with pallets. 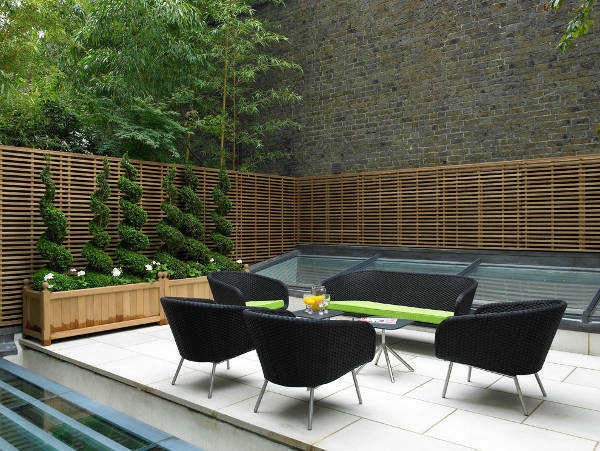 Choose a simple design for a modern patio. You can have a sofa with crisp and orthogonal structure that you can style with pillows in minimalist approach. 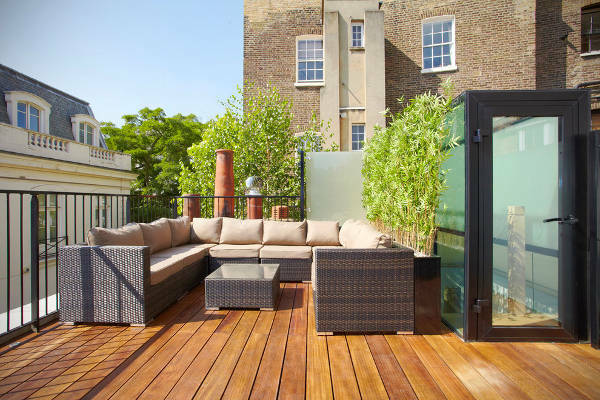 Wood and metal are the most common materials for modern patio furniture however you can find bamboo designs that will look perfect. Smart furniture is going to be your biggest ally for a small patio. 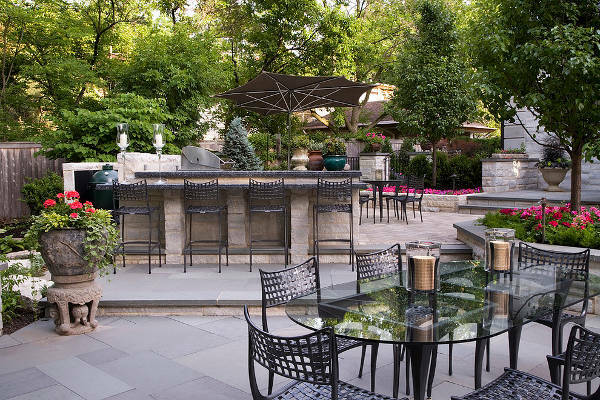 Choose a set of table and chairs in metallic material in order to make your patio look spacious. You can style the space with soft pillows in vibrant colors or with floor lamps for glamorous effect. 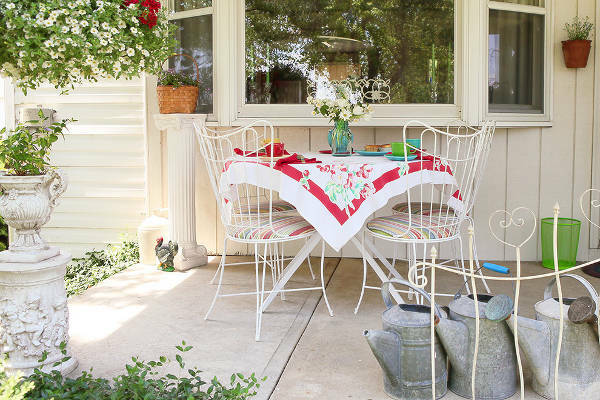 The combination of metal furniture with soft pillows and cushions in the most charming setting for a vintage patio. 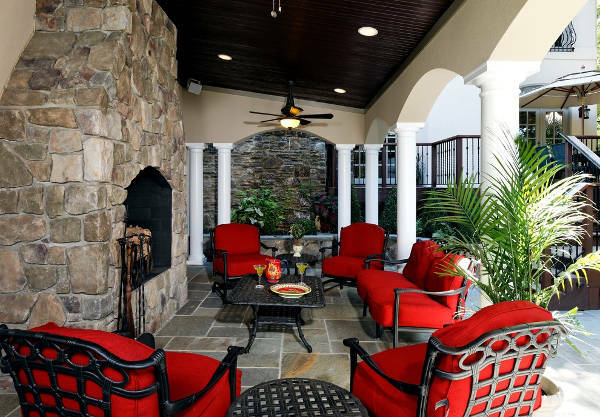 You can find amazing designs with classic look and excellent quality that will make your patio look dreamy. 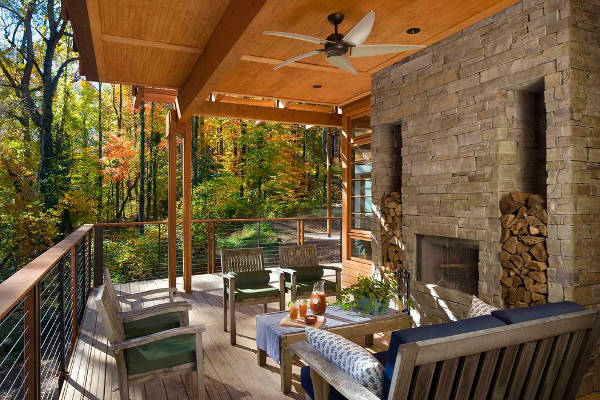 Wood will be your best friend for a rustic patio design. You can have a dining table with benches in rustic style. The visible grains will look natural and raw bring out the most magnificent setting. You can always tone down the rawness with soft vibrant pillows and other accessories. You can find many designs that are used in restaurants and cafes. Most times, this furniture consists of a table along with chairs. The restaurant patio furniture come in matching sets creating a charming addition in your patio. You can find them in many materials and styles to choose from. Contemporary designs comprise of comfortable sets with a modern touch that are suitable for everyone. 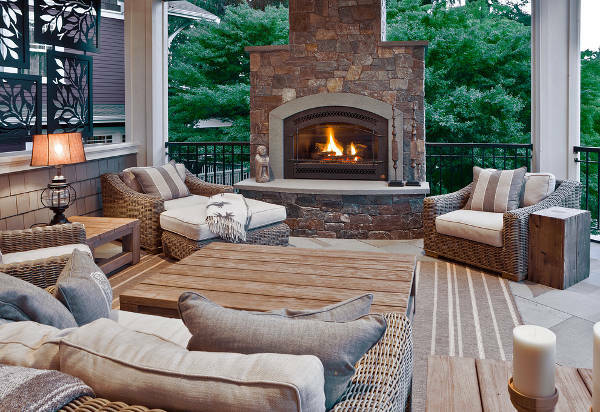 You can easily recreate a contemporary patio design with a built in sofa design that you can style with comfortable cushions in neutral styles and matching throw blankets. 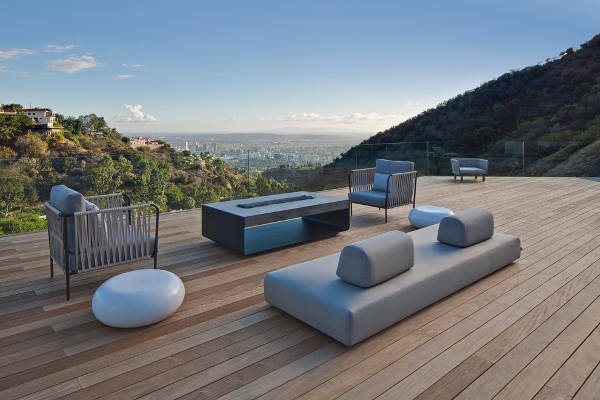 For a luxurious look you can decide on patio furniture set in wood. This material looks classic and when combined with rich textures it can bring out a glamorous and elegant look. You will find them in many variations and wood types that you can style accordingly. A set of comfortable chaise longs along with a glamorous coffee table will help you create the most incredible pool patio designs. Complete the look with a matching umbrella in order to provide shading. The pool patio would look amazing with a bar design too. Sectional furniture allows you to arrange them in every possible way. You can have a different look every day, with a set of sectional sofa designs. 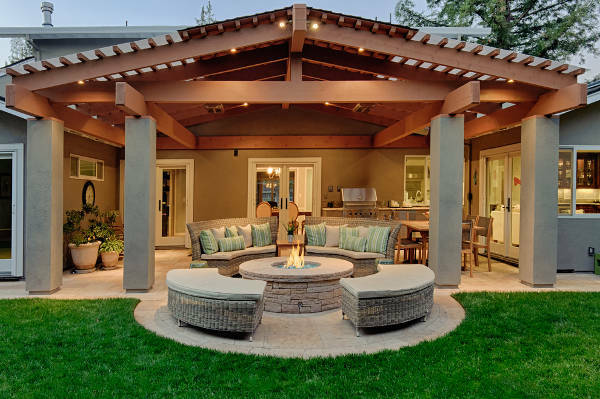 These designs come in a great variety of styles and color combinations providing you with endless options to style your patio. 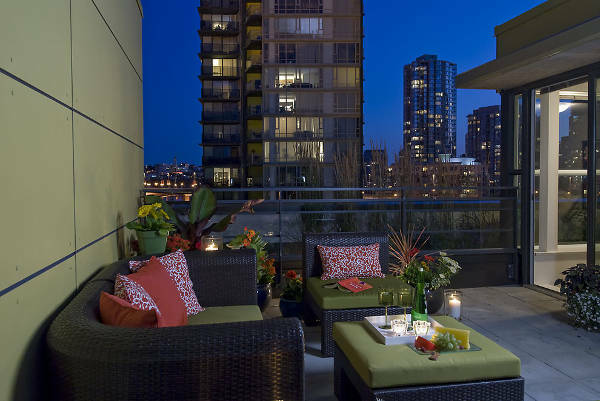 If your apartment has a patio space then you should definitely take advantage of the space in order to create a serene and stylish place that you can entertain your friends and family. You have to consider the size of the available space in order to choose the right furniture. Create the most comfortable corner with an L shaped patio sofa. 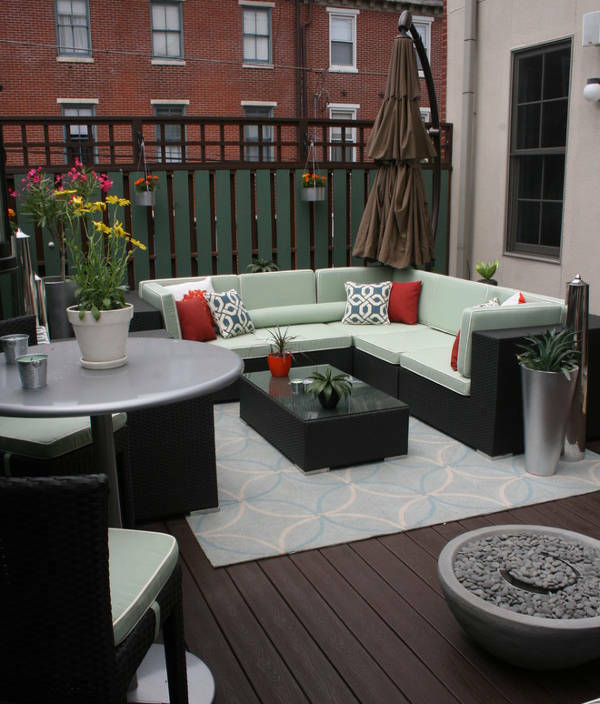 These designs provide you with ample seats in order to entertain comfortably more people at once and they are suitable for every patio space even for apartments. 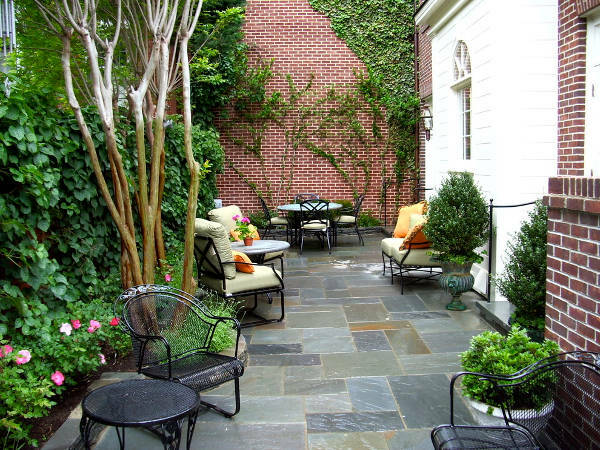 Choose the right piece according to the patio’s dimensions. You can choose many different designs for a mix and match setting or you can go for a patio furniture set that will give a consistent look. Don’t be afraid of adding bright colors. 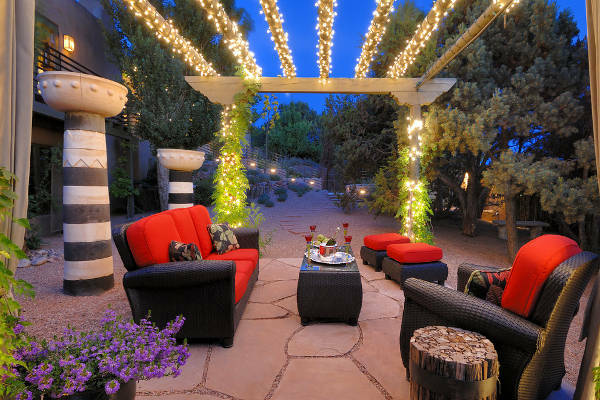 You can style your patio in every design you might like, creating the most wonderful space.